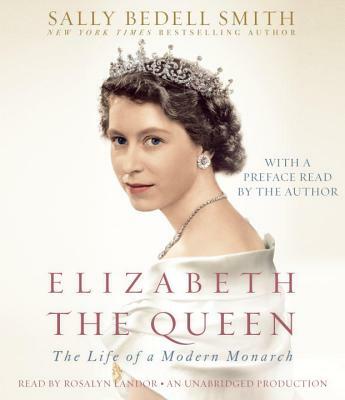 In this magisterial new biography, "New York Times" bestselling author Sally Bedell Smith brings to life one of the world's most fascinating and enigmatic women: Queen Elizabeth II. From the moment of her ascension to the throne in 1952 at the age of twenty-five, Queen Elizabeth II has been the object of unparalleled scrutiny. But through the fog of glamour and gossip, how well do we really know the world's most famous monarch? Drawing on numerous interviews and never-before-revealed documents, acclaimed biographer Sally Bedell Smith pulls back the curtain to show in intimate detail the public and private lives of Queen Elizabeth II, who has led her country and Commonwealth through the wars and upheavals of the last sixty years with unparalleled composure, intelligence, and grace. In "Elizabeth the Queen, "we meet the young girl who suddenly becomes heiress presumptive when her uncle abdicates the throne. We meet the thirteen-year-old Lilibet as she falls in love with a young navy cadet named Philip and becomes determined to marry him, even though her parents prefer wealthier English aristocrats. We see the teenage Lilibet repairing army trucks during World War II and standing with Winston Churchill on the balcony of Buckingham Palace on V-E Day. We see the young Queen struggling to balance the demands of her job with her role as the mother of two young children. Sally Bedell Smith brings us inside the palace doors and into the Queen's daily routines the red boxes of documents she reviews each day, the weekly meetings she has had with twelve prime ministers, her physically demanding tours abroad, and the constant scrutiny of the press as well as her personal relationships: with Prince Philip, her husband of sixty-four years and the love of her life; her children and their often-disastrous marriages; her grandchildren and friends. Compulsively readable and scrupulously researched, "Elizabeth the Queen "is a close-up view of a woman we ve known only from a distance, illuminating the lively personality, sense of humor, and canny intelligence with which she meets the most demanding work and family obligations. It is also a fascinating window into life at the center of the last great monarchy. Sally Bedell Smith is the author of bestselling biographies of William S. Paley; Pamela Harriman; Diana, Princess of Wales; John and Jacqueline Kennedy; and Bill and Hillary Clinton. A contributing editor at "Vanity Fair" since 1996, she previously worked at "Time" and "The New York Times, " where she was a cultural news reporter. She is the mother of three children and lives in Washington, D.C., with her husband, Stephen G. Smith."